The mirrorless revolution is in full swing. These impressive digital cameras pack large image sensors into compact bodies, offering some of the best image and video quality on the market with less bulk than a DSLR. And as the lens options continue to expand, going mirrorless makes more sense now than ever before. Below we break down the best mirrorless-interchangeable lens systems of 2019, from full-frame models for professionals to leading budget options. Nearly all of the big brands are represented, including Sony, Fujifilm, Canon, Panasonic, Olympus, and now Nikon. 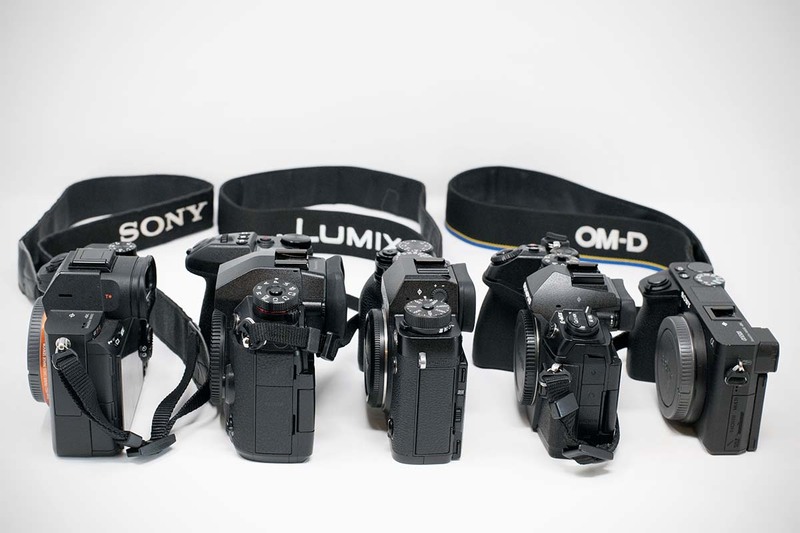 For more background information, see our mirrorless camera comparison table and buying advice below the picks. 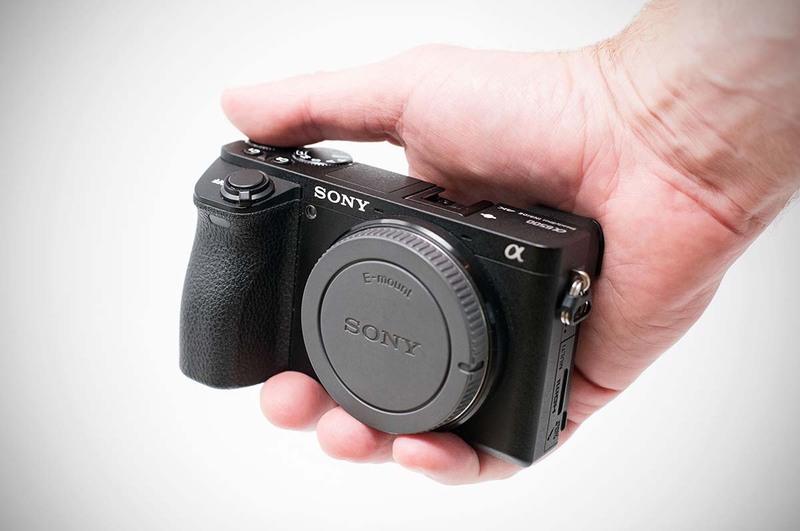 What we like: The whole package in a mirrorless camera for both stills and videos. What we don't: One of the most expensive cameras on this list, and lenses aren't cheap either. 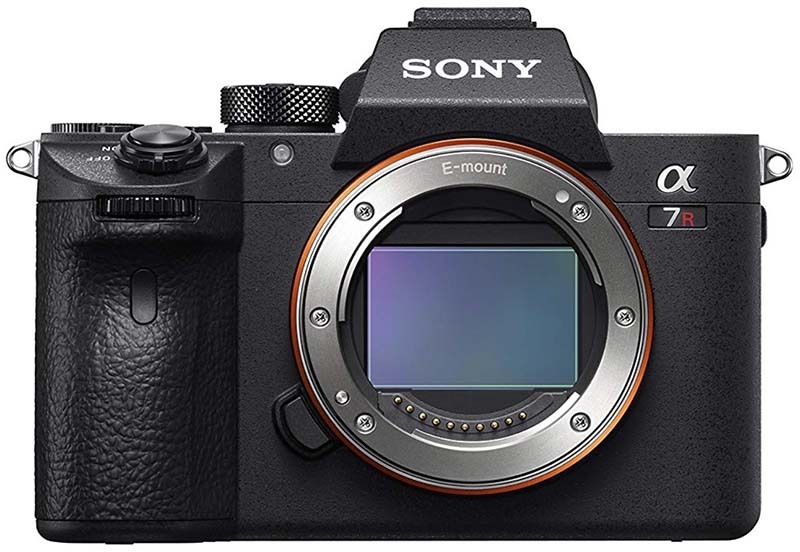 Sony has led the full-frame mirrorless market for years, and the Alpha a7R III still is at the top of the heap for 2019. This sleek little camera pretty much does it all: you get 42.4 megapixels of resolution, superb autofocus and tracking, in-body image stabilization, 4K video, and weather sealing (we could go on and on). Compared to the older a7R II, Sony doubled the burst rate up to 10 fps, added touch functionality on the rear LCD, and changed the battery type, which made a world of difference. For everything from still photography to videos, we think it's the best all-around mirrorless camera on the market. What are the shortcomings of the Sony a7R III? At around $2,800 for the body, it's an expensive set-up reserved for enthusiasts with big budgets (and Sony GM lenses aren't exactly cheap either). 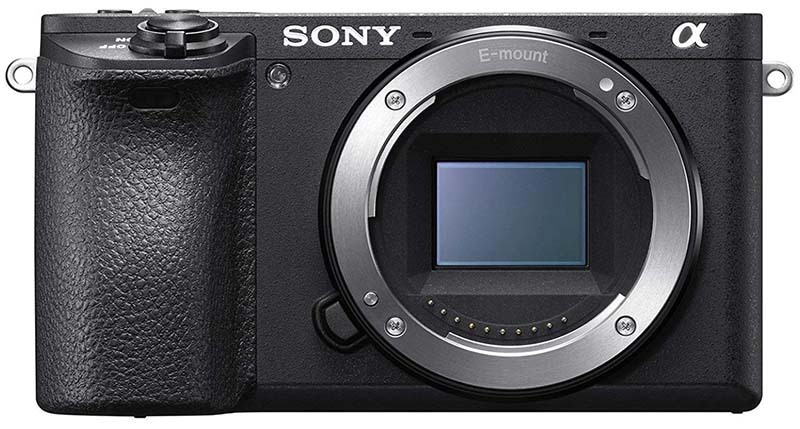 For those who want to spend less, Sony makes the a7 III (no "R") below, which has 24.2 megapixels of resolution and many of the same features as the a7R III for about $1,000 less. And it's worth noting that Sony's full-frame competition is increasing: last year Nikon released its much-anticipated Z6 and Z7 mirrorless cameras, and Canon has released its EOS R. All new systems have limited lens selection and technological hurdles to overcome, but Nikon and Canon surely will be forces to be reckoned with going forward. What we like: Top-tier image and build quality; impressive feature set. What we don't: No in-body image stabilization and short battery life. We'll start by saying that we love Fujifilm mirrorless cameras. They are sleek, well-built, have the truest color rendition of any brand, and the Fujinon lens collection is superb. For uses like travel, portraits, and street photography, you'd be hard pressed to find a better camera for your money. At the same time, the X-T3 does not have a full-frame image sensor like the Sony Alpha series, Nikon's Z6 and Z7, and the Canon EOS R below. Many professionals stick exclusively to full frame and rightfully so, but the Fujifilm X-T3 is a powerhouse camera in its own right that should make even the most discerning photographers happy. 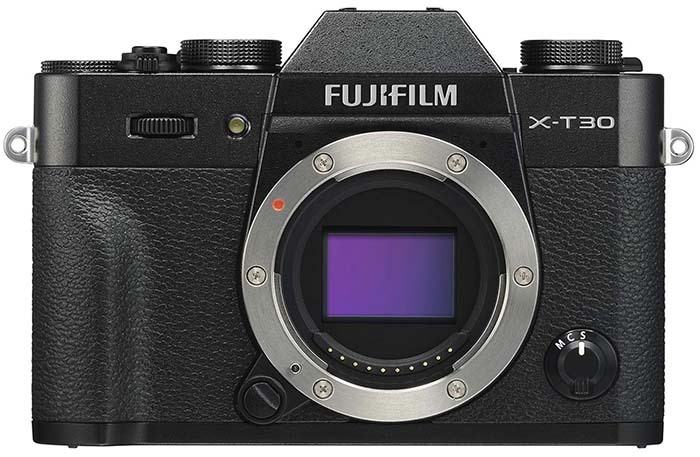 The X-T3 was released at the end of 2018, so what changed on this camera? The simple answer is that just about everything improved, and the X-T2 wasn't shabby to start. Fujifilm bumped up the megapixel count to 26.1, made major improvements to the autofocus system across the board, and added touch sensitivity to the rear LCD (we love the touch focus feature in particular). You also get a faster burst rate at 11 frames per second, a new processor that helps everything function quickly and smoothly, and video features that now are more competitive with the field. 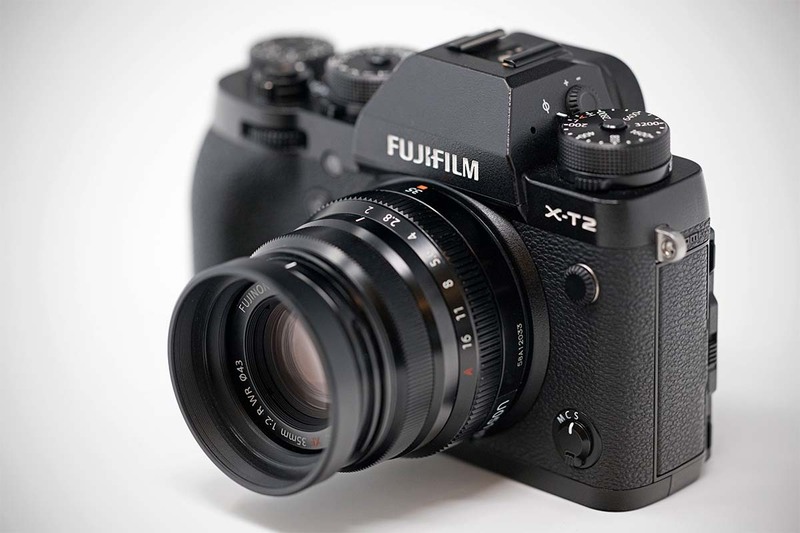 The two biggest downsides of the X-T3 are the lack of in-body image stabilization and the relatively short battery life, but those are small hurdles to overcome for an otherwise outstanding mirrorless camera. What we don't: Lacks 4K video and other modern features. The Sony a6000 is getting a little long in the tooth—it has been replaced by the newer a6300 and a6500—but the camera currently is a great value at less than $500 with a kit lens. Most importantly, you get a 24.3-megapixel APS-C image sensor, fast shooting at up to 11 frames per second, 1080p video, and built-in Wi-Fi and NFC. 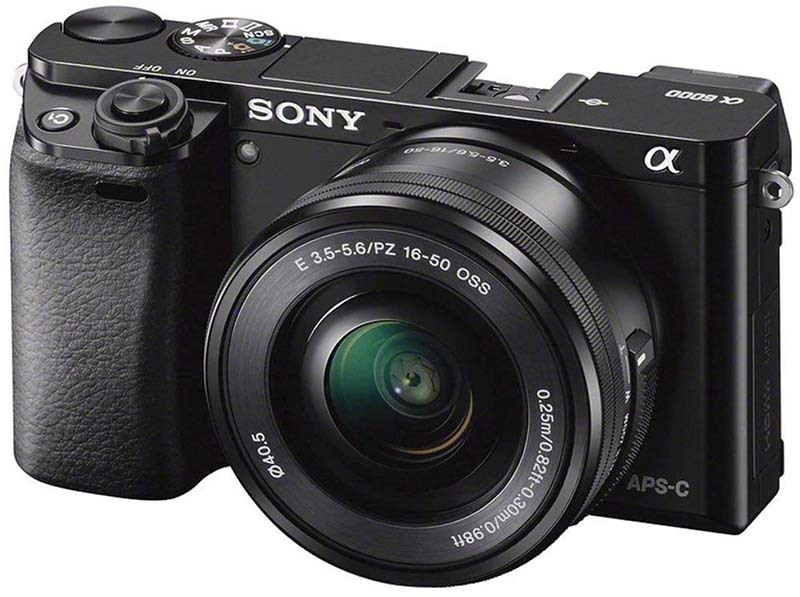 With a weight of just over 12 ounces and a very approachable price tag, there is a lot to like about the Sony a6000. What do you sacrifice by going with a past-generation model like the a6000? The camera lacks modern features like 4K video, in-body image stabilization, and weather resistance. It's also true that the 16-50mm kit lens is decent but won't make your photos really pop, so you may want to add a specialty zoom or prime for better results. And for those really looking to save, the Sony a5100 is slightly less capable than the a6000 (it has no electronic viewfinder, for example) but currently is only $448 with a kit lens. 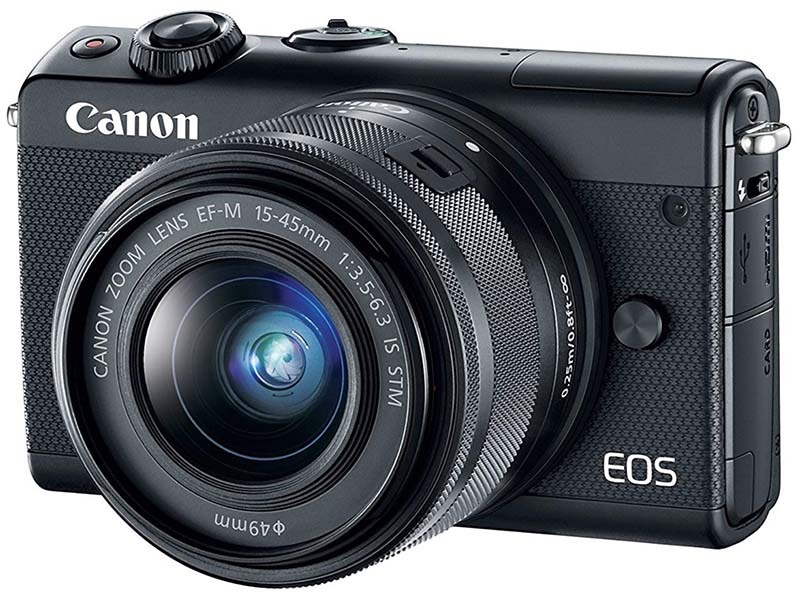 And for another fun budget option from a different brand, see the Canon EOS M50 below. What we like: Premium video quality and feature set. 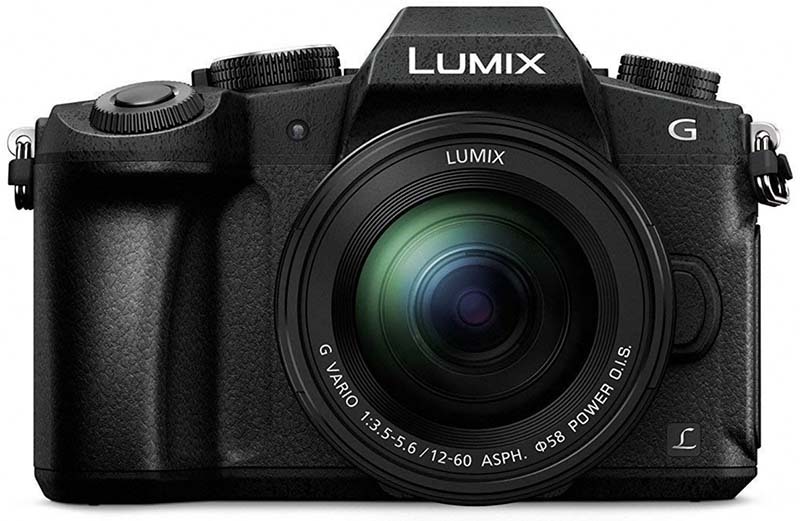 What we don't: Less of an all-rounder than the Panasonic G9 below. Among its mirrorless peers, Panasonic has had a leg up in the video department for years, and the GH5 is their flagship camera for this purpose. It boasts 4K video speeds that can rival any pro DSLR, a highly advanced autofocus system, built-in image stabilization, and a tough, weather-sealed body that can handle long shoots in a variety of conditions. You also get 10-Bit recording, a full HDMI socket, and a host of advanced functionality options. This substantial feature set makes the GH5 a leading choice among professional video shooters looking for a compact set-up. Keep in mind that even though the Panasonic Lumix GH5 is ranked here due to its standout video prowess, it’s not necessarily the best all-rounder. For example, Panasonic's own G9 below is newer, cheaper, better suited for stills, and still very capable for video. Those who want a mirrorless camera strictly for video will appreciate the features and functionality of the GH5, but in our opinion, the G9 is the more versatile option overall. And for a full-frame competitor to the GH5, see the video-centric Sony Alpha a7S II. 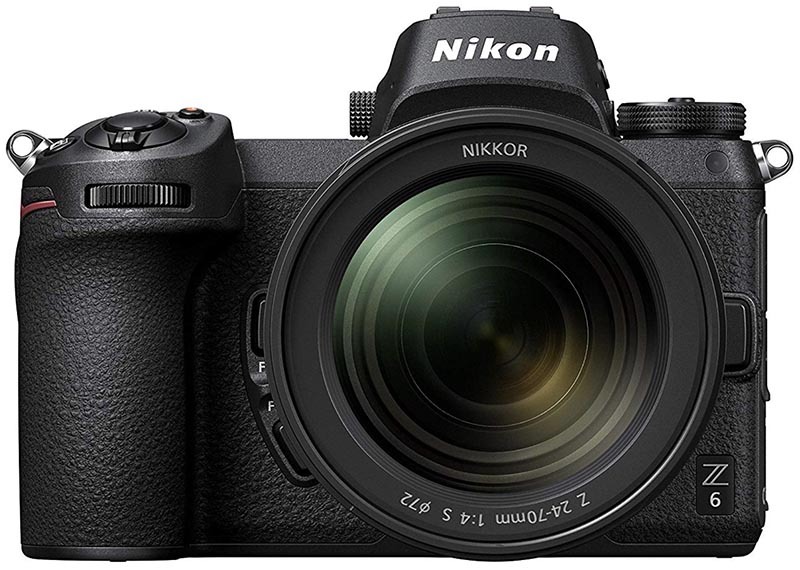 What we like: A full-frame mirrorless camera from Nikon for less than $2,000. What we don't: Autofocus could be improved and the Z-mount lens selection is limited. Nikon's new Z6 mirrorless camera received a lot of hype and rightfully so. It checks almost all of the boxes that people were hoping for: a full-frame image sensor, in-body image stabilization, fast continuous shooting at 12 frames per second, a wide range of video speeds, and a tough, weather-sealed body that is built to Nikon's lofty standards. Plus, with a relatively small form factor and weight of 20.6 ounces, you get much better portability than full-frame DSLRs like the Nikon D750 (26.5 ounces) and hefty D850 (32.3 ounces). And although we included the Z6 here, Nikon released two mirrorless cameras to start: the Z7 offers 45.7 megapixels of resolution and more in the way of advanced features for a whopping $3,400. Where does the Nikon Z6 fall short? The autofocus system is solid overall but lags behind the competition in certain aspects, and subject tracking and refocusing in particular. And in choosing between this camera and comparable Sony options, lens selection made the difference for us. The first four Z-mount lenses are good but not great, Sony is years ahead in this regard, and even Canon's RF initial offerings have faster apertures. But if you already own Nikon full-frame lenses, the Z6 is sold with an FTZ adapter that makes your FX glass fully compatible. 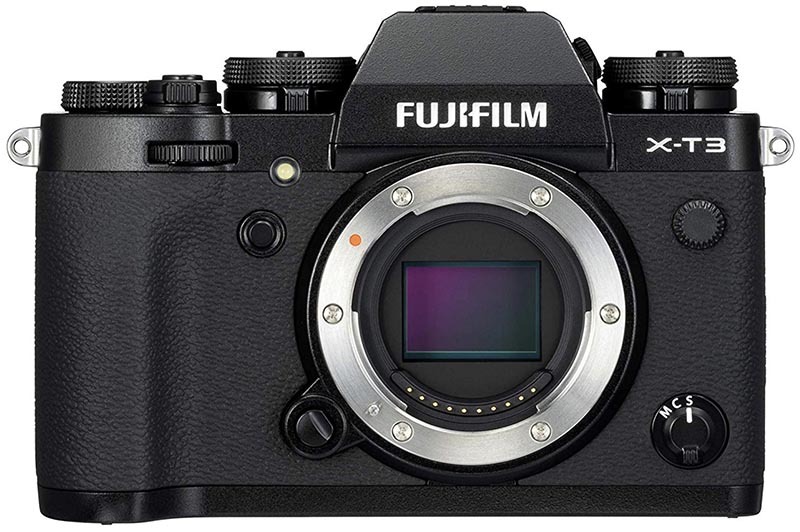 What we like: The same sensor and image processor as the pricier X-T3 above. What we don't: No weather sealing. Fujifilm's flagship mirrorless camera is the X-T3 above, but the new X-T30 might be even more impressive for the price. Released in spring of 2019, you get the same image sensor as the X-T3 in a smaller package that is available for well under $1,000. What features do you lose out on? The X-T30 is not weather sealed, has an inferior viewfinder, a lower resolution LCD screen, and more limited 4K video speeds. But image quality is largely the same, and we love the X-T30 for travel and everyday use. Keep in mind that the Fujifilm X-T30 is behind the field in some ways. As mentioned above, it's not weather sealed (comparable mirrorless cameras like the Sony a6300 and Olympus OM-D E-M5 Mark II are). And Fujifilm video quality still is inferior to brands like Sony and Panasonic, although it has improved significantly over the past few years. But for those who shoot mostly still photography and want premium image quality in a compact package, the X-T30 is an excellent and modern mirrorless camera at a good price. What we like: A highly versatile camera with a wide selection of quality lenses to choose from. What we don't: Not quite as video capable as the Lumix GH5. Until the release of the Panasonic G9, the GH5 above was our top-rated Micro Four Thirds camera. But then came the G9 and the script was flipped. While the GH5 prioritizes video and addresses stills later, the G9 does just the opposite, making it a more versatile and practical camera for most people. The G9 still records 4K video at 60p, but also shoots stills at 20 fps while the GH5 only does 12 fps. Another benefit of the G9 is the new USB port that allows you to charge the camera on the go or while in use, helping to ensure that you won't run out of battery during those longer sessions. 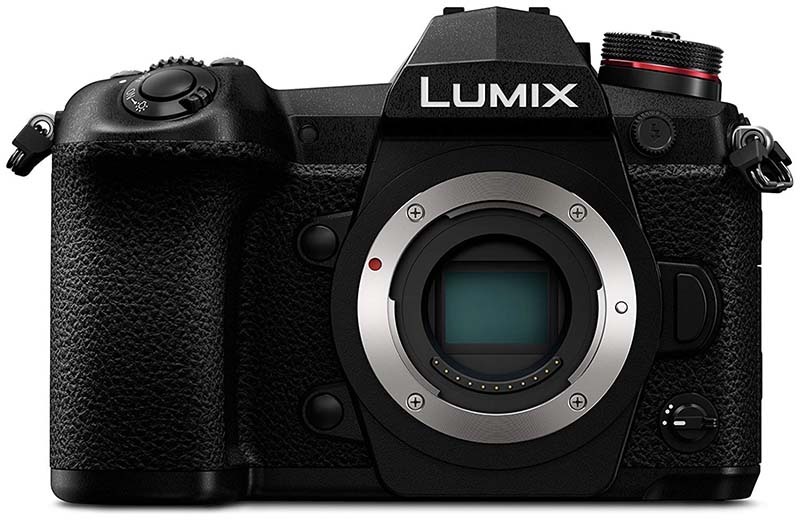 And given the $300 difference in price and lower weight, the G9 is one of the top Micro Four Thirds cameras for 2019. 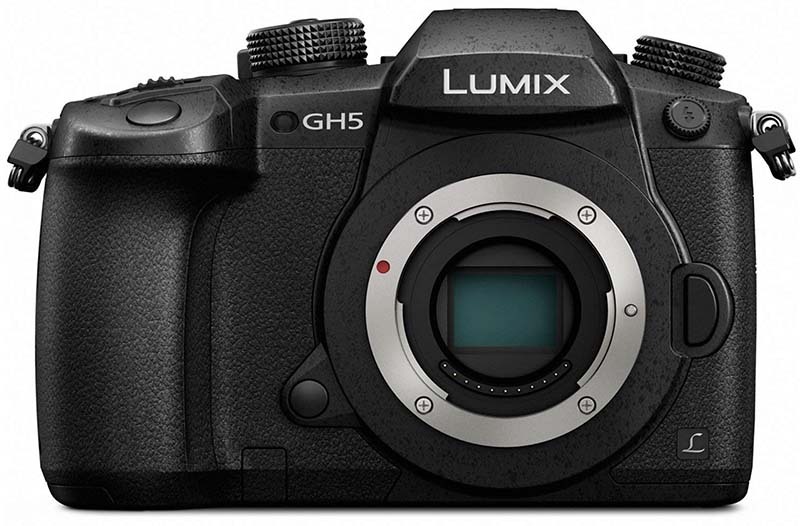 For those hesitant to buy a Micro Four Thirds camera based on the smaller sensor (more on that in our buying advice below), Panasonic did include a high resolution mode on the G9. The feature is intended mostly for landscape and architecture photographers, and it combines 8 photographs into a single and massive 80-megapixel file. While this can be highly beneficial for static subjects, those interested in shooting movement may find this feature obsolete. Either way, it's a nice touch on a very well-rounded mirrorless camera. What we like: Packed with features and compact. What we don't: Low on megapixels. 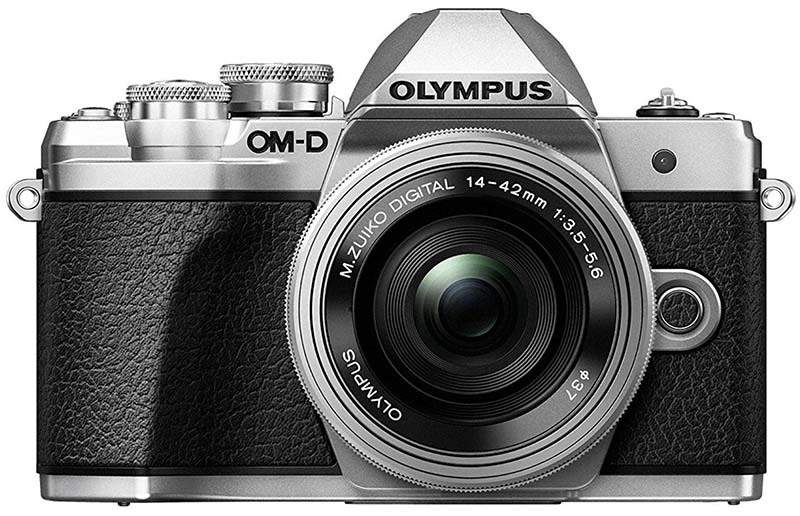 Olympus has been very competitive in the mirrorless market for years, but consumers have felt the squeeze when considering high-end models like the E-M1 Mark II. Enter the E-M10 Mark III, a more affordable option that offers Olympus's signature image and video quality for around $800 with a kit lens. New to the Mark III is 4K video, superior image stabilization, more autofocus points, and a more approachable menu system and user experience overall. Factor in the vast collection of Micro Four Thirds lenses, and you have a highly versatile travel camera with a small form factor. We hemmed and hawed about whether to include the Mark III or Mark II here—newer isn't always better when you take price into consideration. The older model is about $250 cheaper with the same kit lens, and unless you frequently shoot video, none of the upgrades are particularly groundbreaking. 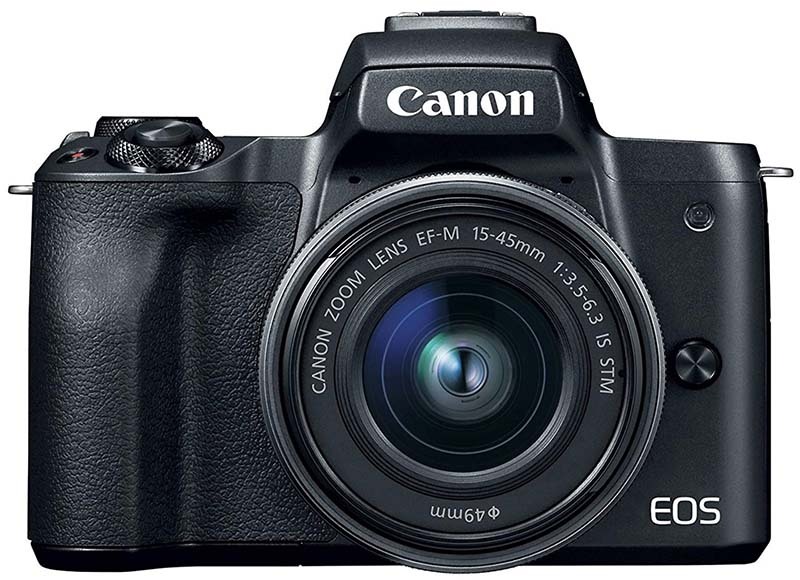 But we do like the sum of the changes, which give the new E-M10 Mark III the slight edge in the end. What we like: More megapixels than the Nikon Z6 or Sony a7 III. What we don't: Lacks in-body image stabilization. Sony was the only game in town in the pro mirrorless market for years, while Canon fans waited patiently for their time. New for last year, the EOS R is a very strong start that is generating a lot of excitement. You get 30.3 megapixels of full-frame resolution (more than the Nikon Z6 or Sony a7 III), a robust autofocus system, and fast buffering for action photography and video. Perhaps most importantly—and the reason many people go mirrorless—the Canon EOS R weighs just 20.5 ounces and has a much smaller form factor than its DSLR counterparts. The Canon 5D Mark IV, for example, weighs 28.2 ounces and is significantly larger in size. It's a tough call between the three brands now competing for the attention of professionals and enthusiasts looking to go mirrorless, and in all honesty, the choice often comes down to your existing lens collection. 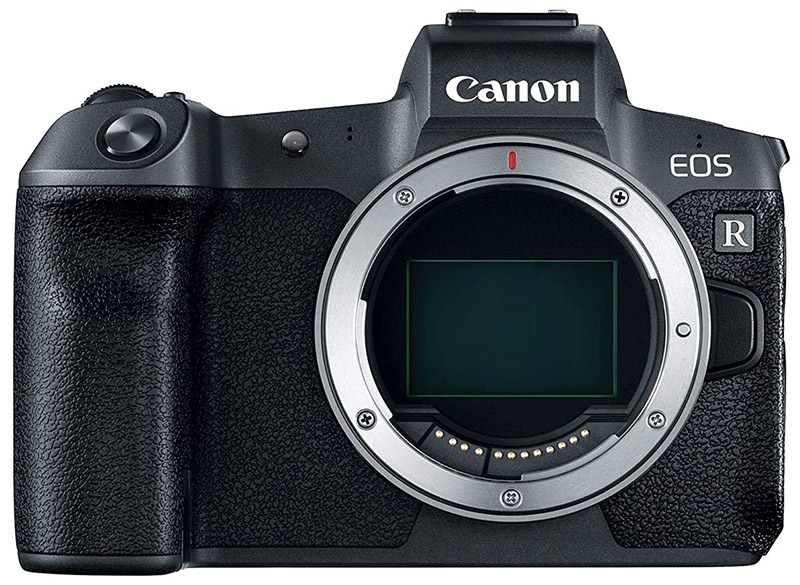 It's worth noting that Canon's EF to EOS R adapter (offered with the camera for only $99 more) is getting high marks in terms of performance with EF lenses, and you also can use EF-S lenses and the camera has a nifty automatic crop mode. However, we would like to see Canon add in-body image stabilization to the mix, which is the major downside of this camera, but that very well may happen sooner rather than later. What we like: Compact yet packs a serious punch. What we don't: Pricey and short battery life. Just when you thought Sony couldn't keep innovating at the same blistering pace, they released the a6500 only months after its predecessor, the a6300. Why the quick upgrade? 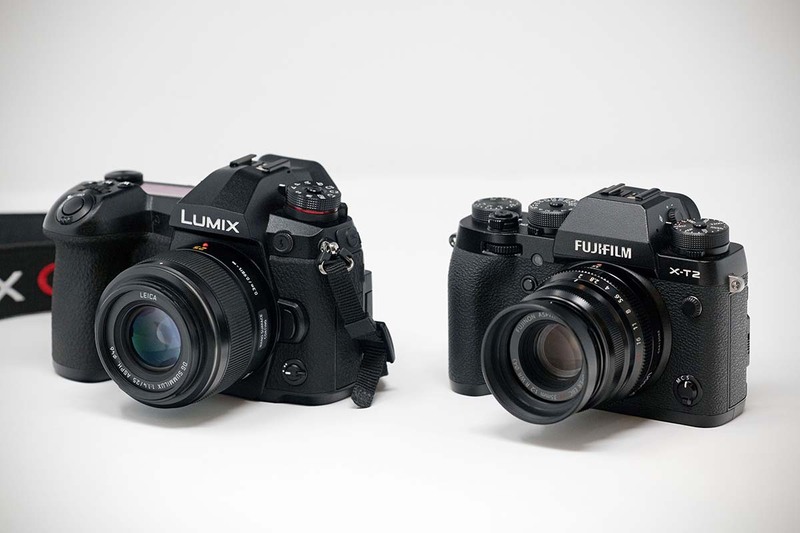 Both are solid mid-range mirrorless cameras that offer 4K video, advanced autofocus, and weather resistant bodies that are well suited for the outdoors. But the a6500 adds in-body image stabilization and touchscreen functionality to the rear LCD, both of which are useful changes. With a $350 increase in price over the a6300, the choice mostly comes down to budget. 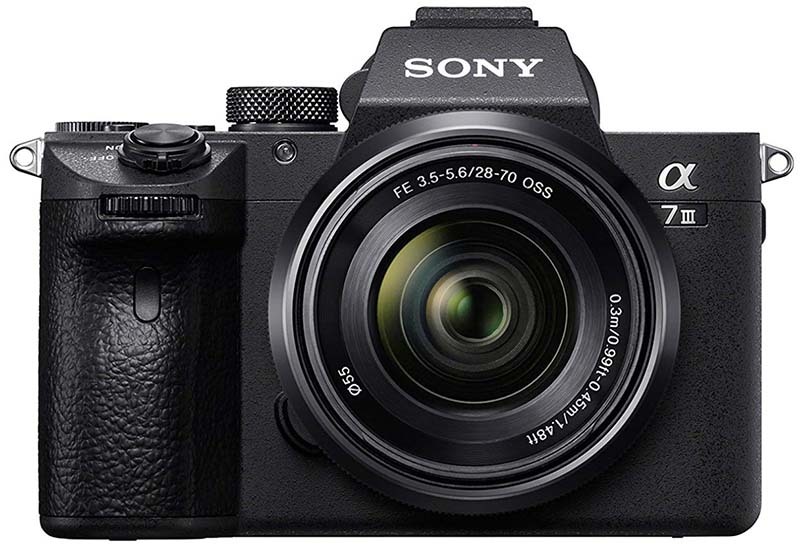 It's worth noting that the a6500 didn't receive the same battery update as Sony's latest Alpha a7 cameras, so you'll still be battling a notoriously short battery life. And as is the case with full-frame cameras like the older Sony a7R II, some users have reported overheating when shooting 4K video on the a6500 for extended periods of time. This means that the Panasonic GH5 and G9 above still trump Sony for dedicated videographers, but the a6500 is a terrific all-around mirrorless option nevertheless. 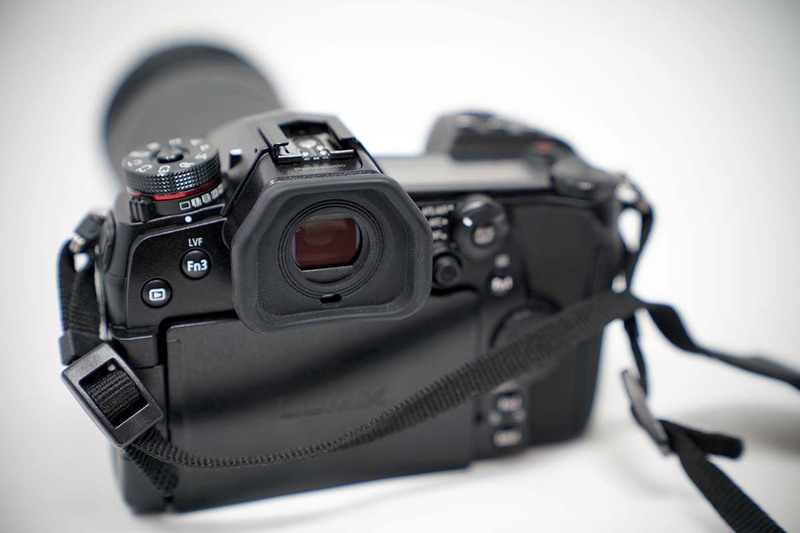 What we like: Added a much-needed electronic viewfinder. What we don't: Massive crop in 4K mode. Canon mirrorless cameras still aren't on par with the likes of Sony or Fujifilm, but they are gaining ground with the mid-range M50. This mirrorless camera improves upon the older Canon M5 by adding 4K video capability, better autofocus, and a faster image processor. You also get a touchscreen LCD, which has a "Touch and Drag AF" feature that is great for making quick adjustments on the fly. Importantly, the M50 also adds an electronic viewfinder, which the M100 lacks, and comes in a few hundred dollars cheaper than the M5. All things considered, the M50 is far from perfect but still one of our favorite Canon mirrorless cameras to date. Canon's release of a 4K-capable mirrorless camera is a bit deceiving, however, as the 4K mode comes with a 2.56x crop. That is pretty substantial and means that if you're shooting 4K video with the 15-45mm lens, you're looking at an equivalent of 28.4-115.2mm (this makes shooting wide-angle video on the M50 nearly impossible). Another notable downside is that the M50 has the shortest battery life of any model on this list, coming in at a mere 235 shots per charge. Unless you're only interested in brief sessions, you'll likely need to carry a pocket full of batteries. What we like: A more affordable alternative to the Sony a7R III. What we don't: Fewer megapixels. For those hoping to go full-frame without breaking the bank, there is a lot to like about the Sony Alpha a7 III. Most importantly, the camera incorporates many of the same features as the more expensive a7R III above (our top mirrorless pick) including an advanced autofocus system, fast burst rate of 10 fps, 4K video functionality, and more than double the battery life of the older Alpha a7 II. 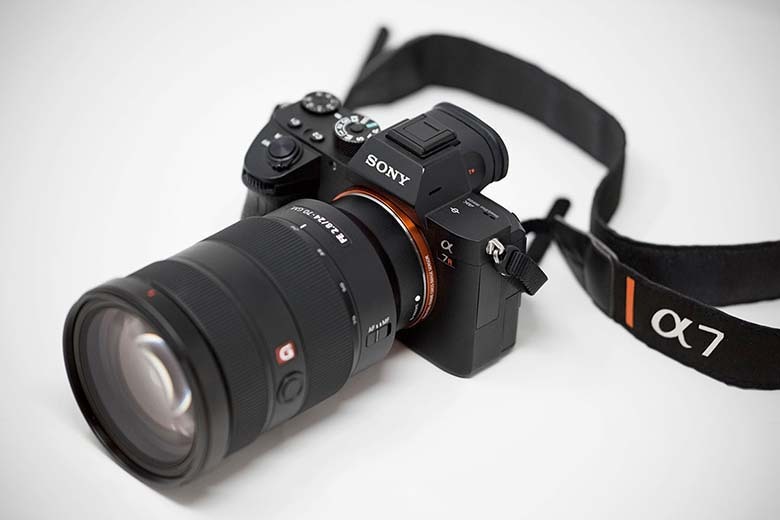 But with a price tag of less than $2,000, the a7 III is an approachable way to access to Sony's full-frame mirrorless lineup without compromising a ton in the way of performance. What are the shortcomings of the Sony a7 III? Most notably, the camera has a 24.2-megapixel sensor, which is a considerable drop from the 42.4 megapixels of the a7R III. However, for many people and uses, this is ample resolution, can create outstanding images and videos, and won't take up as much space on your hard drives. And compared to the new full-frame Nikon Z6 above, the Sony has superior autofocus, weighs slightly less, and has many more native lens options. What we like: Loaded with features and functionality. What we don't: Too expensive for our tastes, and particularly if you don't shoot action. 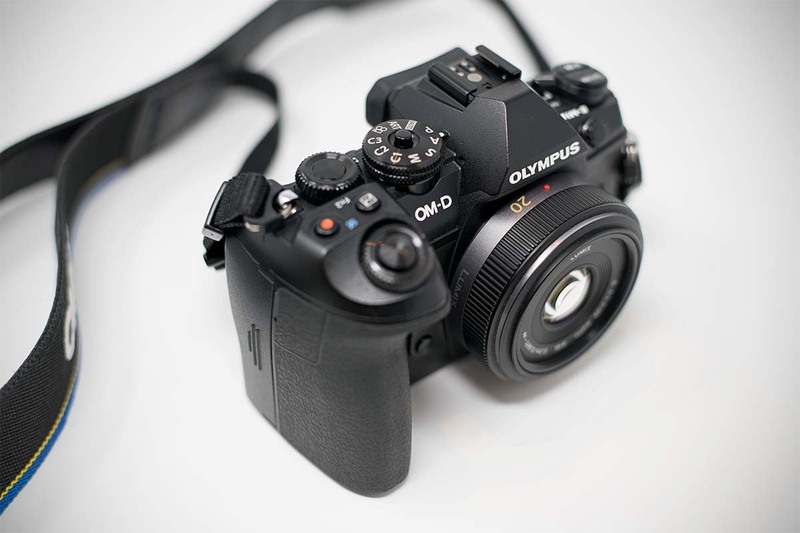 For those who love the Micro Four Thirds system and have money to spend, the OM-D E-M1 Mark II is a very impressive mirrorless camera that shows just how far this technology has come. This camera has pretty much all the bells and whistles that enthusiasts want: in-body image stabilization, fast burst rates for action photography, 4K video, and a weather-sealed magnesium alloy body that is great for shooting outdoors in tough conditions. For everything from travel to landscapes, this E-M1 Mark II does it all. 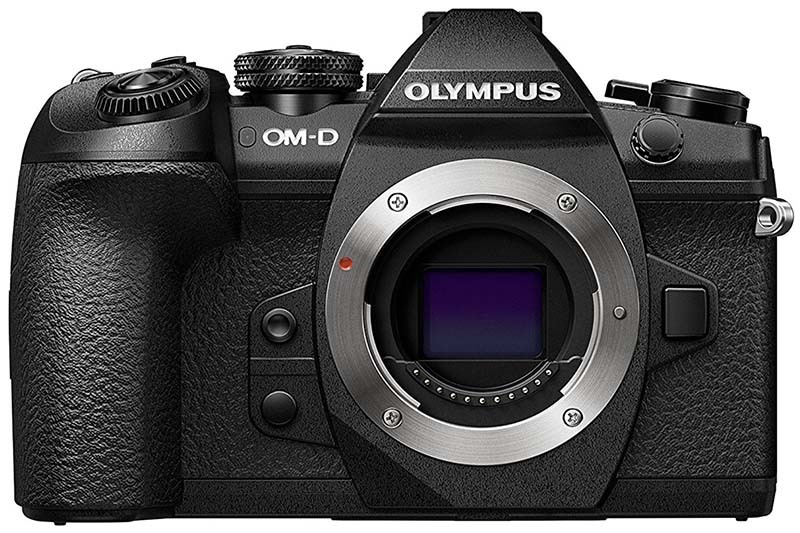 Our biggest issue with the OM-D E-M1 Mark II is the cost. At $1,600 for the camera body alone, it's more expensive than most other crop sensor mirrorless cameras on the list as well as popular full-frame DSLRs like the Nikon D750 or Canon 6D. It's even roughly the same price as the Nikon D500, another action specialist. And although the Olympus boasts impressive features and some of the best in-camera stabilization of any mirrorless camera, the Panasonic G9 above is our preferred Micro Four Thirds option. What we like: 4K video and high fun factor. What we don't: Lower resolution than most cameras on this list. The Panasonic G85 is a tweener: it's not a true enthusiast mirrorless camera, but definitely shouldn't be categorized as entry level either. And if you compare it to a premium point-and-shoot like the Sony RX100 V that is similar in cost, we would take the G85 in a heartbeat. Simply put, if you're looking for quality photos and videos but don't need the features or resolution of the G9 above, give the G85 a serious look. Panasonic is known for video, so it's no surprise that the G85 shoots 4K and is darn good at it. You also get fast continuous shooting, good autofocus for the price, and new to this model are weather sealing and built-in image stabilization. Compared to cameras like the Canon M50 or Sony a6000, you don't get quite the resolution with the smaller image sensor and fewer megapixels, but the 4K video, sleek design, and access to good lenses all are big selling points. For video shooters shopping in the sub-$700 price range, the G85 may be the ticket. What we like: Fujifilm image quality at an entry-level price point. What we don't: No viewfinder. 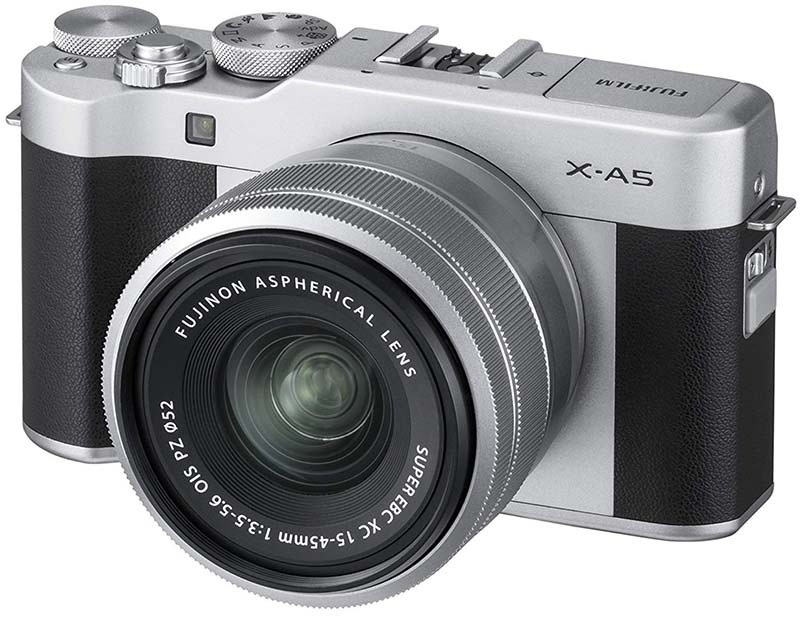 Despite the lack of a viewfinder, we like the X-A5, Fujifilm's latest release in the entry-level mirrorless market. As is apparent based on the price, this camera is ideal for up-and-comers and those looking for a quality everyday set-up on a budget. Most importantly, you get an APS-C image sensor that can produce quality images for travel and everyday use. For beginners, the camera is packed with easy-to-use presets and automatic shooting modes, and we also like the 14-45mm kit lens, which is well-built, provides a solid focal length range, and is reasonably compact. In this price range, a close competitor to the Fujifilm X-A5 is the Sony a6000 above (our top budget pick). 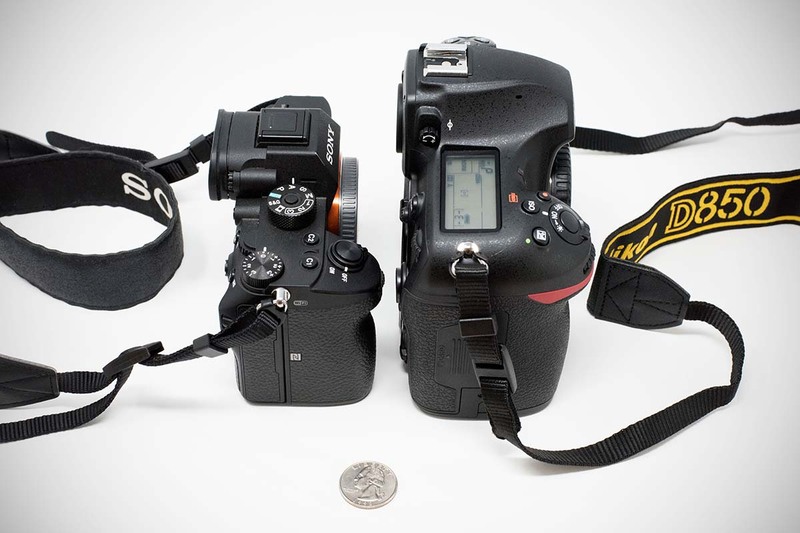 Both cameras have 24-megapixel APS-C sensors, are similar in weight, and have built-in wireless. The X-A5 does shoot 4K video, but the a6000 has a much faster burst rate and superior autofocus. If you're shooting primarily still photography, the Fujifilm is a nice choice. But for those looking for the more versatile performer for both stills and videos, we give the nod to the Sony. What we like: 4K video and an EVF at a good price point. What we don't: Fewer megapixels than newer entry-level models. 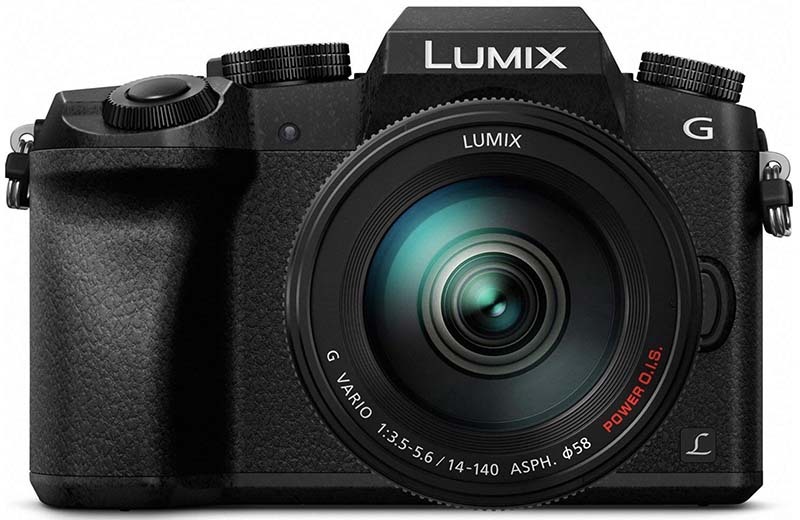 Good news for aspiring videographers and fans of Panasonic: you don't have to spend $1,000 for your mirrorless camera (or anything close to it). The G7 was released a few years ago and therefore isn't new, but is a solid value at less than $500 with a kit lens. In fact, it's one of the cheapest ways to access 4K video in 2019, plus you get an electronic viewfinder. Despite the drop in resolution from Sony's and Canon's latest entry-level models, Panasonic does a lot of things right including excellent video quality and features. What do you sacrifice with the Panasonic G7 compared to the pricier G85 above? The G7 does not have built-in image stabilization, which admittedly is very helpful. In addition, the camera is not weather sealed and shoots slower at 7 fps vs. 9 fps on the G85. All of these are notable improvements that make the G85 attractive despite the $300 jump in price. And for those shopping for a Micro Four Thirds camera on a budget, we suggest looking at the Olympus E-M10 Mark III above, which is $300 more but a better camera overall. What we like: Bargain basement price and low weight. What we don't: No 4K video and limited lens options. At just $450 with a 15-45mm kit lens—many advanced point-and-shoots cost more—the M100 is a nice mirrorless value option from Canon. In terms of specs, you get 24.2 megapixels of resolution, decent autofocus, a burst rate of 6.1 fps (faster than Canon's entry-level DSLRs), and Bluetooth connectivity. And at just 10.7 ounces for the camera body, the M100 delivers a lot of functionality in a small package. Keep in mind that the M100 does not have a viewfinder, meaning that you'll have to line up your photos and videos via the rear LCD, nor does it shoot 4K video like the M50 above. And although Canon's collection of EF-M lenses is growing and some third-party manufacturers have jumped into the mix, you won't find pro-grade options like you do with Fujifilm or Micro Four Thirds. But for those new to mirrorless or familiar with Canon systems, the M100 is a good price-point camera that should get the job done. We've provided you with a ton of information on specific camera models, but the decision still can feel intimidating. Keep in mind that buying a camera body is an investment into a system and a company. Granted, you're never totally locked into a system, but once you buy a body and start building up your lens collection, you're financially invested and changing can be burdensome. The good news is that all of the brands we've listed are safe bets. All continue to demonstrate a desire to innovate in their own ways. If any of these companies were stagnant it would be easy to rule them out, but with Nikon and Canon emerging (something we discuss below), as well as Sony, Panasonic, Olympus, and Fujifilm not showing any signs of slowing down, you should be safe going with any of them. Here at Switchback Travel, we praise image sensor size over megapixels, which has a more significant impact on image quality. The good news is that virtually all mirrorless cameras have large sensors that are similar to most entry-level and mid-range digital SLRs. 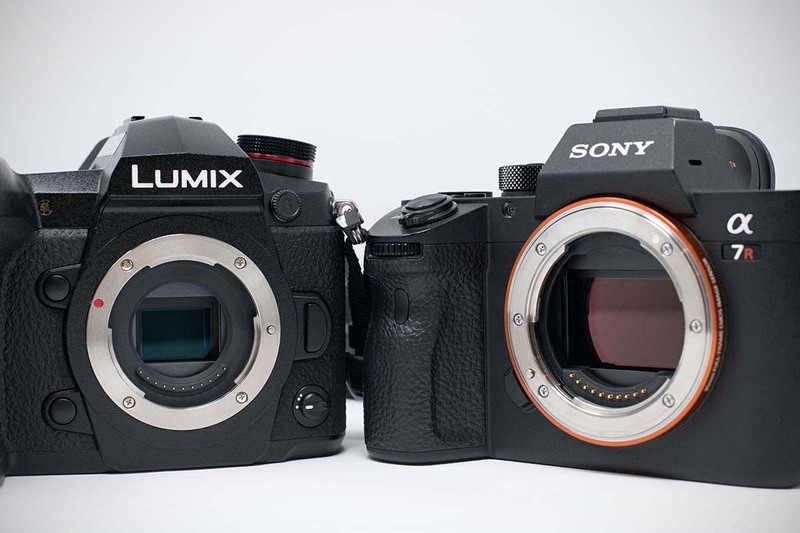 The two most common sensor types are APS-C (Sony and Fujifilm) and Micro Four Thirds (Olympus and Panasonic). Sony's a7 series of full-frame mirrorless cameras boast full-frame sensors, which is second largest to the medium format sensors found in the Fujifilm GFX 50S and the Hasselblad X1D. Keep in mind that there is some variation between manufacturers and camera models (Canon's APS-C sensor is smaller than Sony's, for example). Medium-format cameras long have been a staple for high-end portrait, fashion, and commercial photographers. With incredibly high resolutions due to the extra-large sensors, the images have detail that is impossible to replicate even with a full-frame camera. Unfortunately, these ultra-premium cameras have price tags to match. It's not uncommon to see bodies from Hasselblad and Phase One in the realm of $40,000, so it was pretty exciting when Hasselblad decided to release the X1D, the first mirrorless medium-format camera. At around $6,500, it offers a much more affordable path to medium format for those interested in achieving higher resolutions and better dynamic range. Then came the Fujifilm GFX 50S, another medium-format option at the same price point as the X1D. At upwards of $10,000 when you factor in lenses, we don't see these cameras as being worth the money for most people. For the majority of folks looking for premium image quality, the 42.4-megapixel Sony a7R III should be more than satisfactory, and Nikon's new Z7 is a whopping 45.7 megapixels. For around half the price, it's hard to argue against going that route. And although the Fujifilm GFX 50S and Hasselblad X1D offer a gateway into a world once reserved for wealthy and elite photographers, we don't see true medium format enthusiasts making the switch. Megapixels matter, but not nearly as much as camera manufacturers and retailers would lead you to believe. For reference, the crop-sensor cameras on this list have megapixel counts somewhere between 16 and 24.3. Given that the majority of image sensors are either Micro Four Thirds or APS-C, you get fairly comparable image quality across the board. A mirrorless camera like the Sony Alpha a6500 with 24.2 megapixels and an APS-C sensor will produce slightly superior images than a camera like the Olympus OM-D E-M10 Mark III with 16.1 megapixels and a Micro Four Thirds sensor, but they are in the same ballpark. At the professional end of the spectrum, the Sony Alpha a7R III boasts a whopping 42.4 megapixels (plus a full-frame sensor) and the new Nikon Z7 offers even more at 45.7. Remember: it's the combination of sensor size and megapixels that matters. One of the biggest differences between entry-level mirrorless cameras and mid-range and high-end models is the inclusion of an electronic viewfinder, or EVF for short. An electronic viewfinder is a super helpful tool that allows for much greater accuracy in terms of composition and focus. On cameras without a viewfinder, you must align images via the LCD screen on the back much like you would with a point-and-shoot camera or smartphone. Many casual photographers may not mind, but an electronic viewfinder is a highly desirable feature for serious photographers. What is the cutoff for an electronic viewfinder? None of the mirrorless cameras on our list that are less than $600 have an electronic viewfinder, and all above $600 do. To check whether your desired model has an electronic viewfinder, see our comparison table above. With specs like megapixels and sensor size getting the lion's share of the attention, don't overlook the importance of autofocus in your buying decision. Many cheaper mirrorless cameras cut costs with inferior autofocus, including the number of focus points and types of autofocus (phase detection and contrast detection). There aren't hard-and-fast rules as to what constitutes great autofocus, but good places to start are the number and type of focus points. Multiple focus points help improve accuracy, so the more the better. In addition, contrast detection is slower than phase detection, and cross-type sensors are more accurate than simpler vertical line sensors. Understanding the full complexities of autofocus is worthy of a full article in itself, but in general, you can expect autofocus to be less accurate on cheaper cameras and more accurate on pricier cameras (there is a strong correlation between price and autofocus quality). If a camera is an outlier to this rule, we will let you know in the write-ups above. 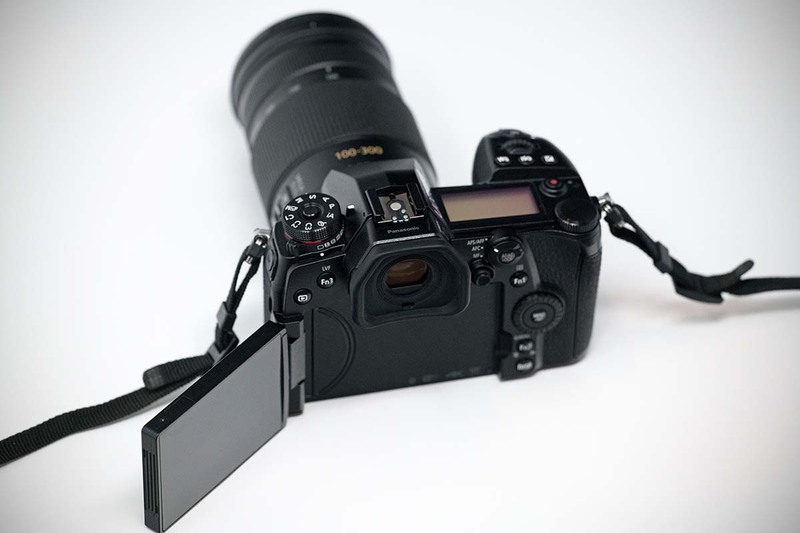 An increasingly common feature on new mirrorless cameras in 2019 is in-body image stabilization, which helps offset the effects of camera shake. The names vary by manufacturer, but the technologies are similar: the sensor is able to adjust for small movements, thereby creating photos and videos with less blur. Sony claims that in-body stabilization is worth up to 5.5 stops, and Olympus up to 6.5 stops with image stabilized lenses, which would be impressive if accurate. All in all, we've found this technology to be difficult to quantify but very helpful in doing what it advertises-we have far fewer blurry images from our cameras with image stabilization. In terms of specific brands and models, Sony's latest Alpha a7R III and a7 III feature in-body image stabilization, as does the crop-sensor Sony Alpha a6500. Most new Olympus cameras do as well, including the E-M10 Mark II, E-M5 Mark II, and E-M10 Mark III. And even Panasonic and Fujifilm are jumping onboard, including the Lumix G9 and X-H1. It's worth noting that the market is right at the tipping point: currently it's mostly high-end and some mid-range cameras that feature in-body image stabilization, but it's starting to trickle down to most new mirrorless cameras regardless of price point. 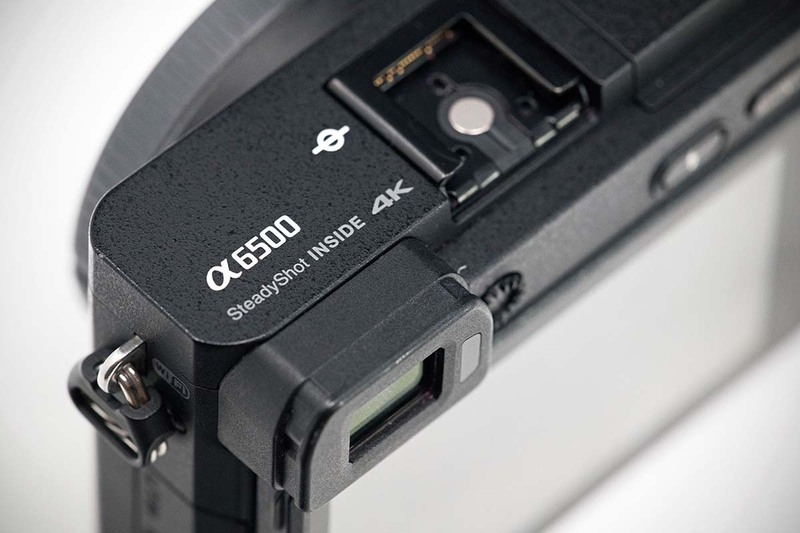 Similar to in-body image stabilization, 4K video once was a rare feature saved for select premium cameras, but it's now common all the way down to entry level. There are a plethora of factors that dictate how good a mirrorless camera is at shooting video, including resolution, autofocus and tracking, available video speeds (these can vary greatly by model), the LCD screen, and video-centric features like 10-Bit recording and HDMI sockets. The good news is that video is getting better and better across the board, and today's mirrorless cameras are leaps and bounds ahead of where they were even a few years ago. In general, Panasonic is the video hegemon in the mirrorless camera world. Many professionals use the Panasonic Lumix GH5, which is hands down the best mirrorless camera for video. Sony's mirrorless are a close second, including the videographer-focused a7S line, and even the a6500 and previous generations are pretty darn impressive in this regard. Olympus is next in line, and Fujifilm mirrorless cameras are now serviceable in the video department but really excel at still photography. Plugging your camera into a USB port on a desktop or laptop and uploading photos manually is becoming increasingly unnecessary. Built-in Wi-Fi is a nice perk available on virtually all new mirrorless cameras, allowing you to transfer and upload photos and videos to your device or social media platform directly from the camera (some even offer light editing in-camera). The software and Wi-Fi platforms vary by manufacturer, and some are easier to use and less buggy than others, but we like the option of using Wi-Fi. One consideration to keep in mind: using Wi-Fi to transfer photos all of the time can eventually take a toll on your camera's processor. Accordingly, we recommend only using the Wi-Fi to transfer images when time is of the essence and you need to make quick selections or edits to your images. Don't be afraid to use Wi-Fi, but if you have a cord handy or can insert the memory card into your computer, doing so will help prolong the life of your camera. Mirrorless cameras get a lot of praise for their compact size and low weight, which makes them attractive for outdoor and travel photographers on the go. It's true that mirrorless cameras weigh less than digital SLRs by forgoing the bulky internal mirror systems (hence the name "mirrorless"), but the difference is not quite as much as you might think. For example, and these aren't exact apples to apples comparisons, the new Sony Alpha a7R III weighs 23.2 ounces for the camera body, while leading full-frame DSLRs like the Nikon D850 (32.3 ounces) and Canon 5D Mark IV (28.2 ounces) both weigh quite a bit more. For a mid-range camera comparison, the Sony Alpha a6500 weighs 16 ounces, while the Canon Rebel T7i is 18.8 ounces and the Nikon D5600 comes in at 16.4 ounces. Clearly, the differences there are less pronounced than the full-frame comparison. Of course, lenses also need to be taken into consideration. Again, this all depends on the systems you're comparing, but we've found that our Sony full-frame FE lenses sometimes outweigh their Canon or Nikon DSLR counterparts. A number of mid-range mirrorless camera systems in the Sony, Fujifilm, and Micro Four Thirds families do have some very cool pancake lenses that weigh next to nothing, but at the full-frame end of the spectrum, the weight savings often is incremental and not monumental. The larger point here is that mirrorless cameras are smaller and lighter than DSLRs, and form factor probably is the biggest difference, but the weight difference is not as much as many people think. Having said that, given that mirrorless image quality and lens availability have essentially caught up to DSLRs, we'll take every ounce we can get. Some mid-range and most high-end mirrorless cameras are weather sealed for added protection from the elements. Weather sealing varies by manufacturer and model and there aren't universal standards, but the process involves adding rubber sealing and housing on the body and around buttons to make the camera more resistant to moisture and dust (both can be an absolute killer to your electronics). Calling these cameras weatherproof or waterproof would be an exaggeration, but they certainly can handle tough conditions and are popular among professionals who frequently are out in the field in inclement weather. For a deeper dive into this topic, we have published a complete list of weather-sealed mirrorless cameras, which includes popular models like the Sony a7 series, Panasonic G9 and GH5, Fujifilm X-T3, Olympus OM-D E-M1 Mark II, and Sony a6500. Olympus and Panasonic cameras in particular are known for excellent weather sealing, but so long as you're careful and don't go into super harsh or wet conditions for extended periods, all of the cameras on our weather-sealed list should be adequate in keeping the elements out. If you've owned a mirrorless camera, then you know how difficult it can be to keep the sensor clean. While removing the mirror from a typical DSLR has many benefits, one big downside is that your sensor is highly vulnerable to dust, dirt, moisture, and any other element waiting to make its way inside your camera. If you spend time shooting outdoors, it's inevitable that you will eventually get dust spots on your sensor, but it happens noticeably quicker with mirrorless cameras. And although it's totally normal to take your camera to a repair shop or send it back to the manufacturer to have the sensor cleaned, we have a few tricks to help you do that less frequently. First, take some electrical tape, fold it over, and stick it to the inside of your camera body cap so that it's sticky on both sides. This will help by having floating dirt and dust stick to the tape rather than your sensor while you're storing your camera. Next, buy a Giottos Rocket Blaster and be sure to use it frequently. It's a super effective tool for quick cleanings of dust that isn't already fully stuck to your sensor. One last tip: make sure your camera always is turned off when switching lenses. When turned on, camera sensors hold a small static charge, making them magnets for dust. By turning your camera off before switching lenses, you'll ensure that your camera isn't unintentionally attracting dirt and debris. With these tips and regular use of the automatic sensor cleaning feature that most cameras offer, hopefully you won't be clone stamping and spot healing for hours in post. When people talk about mirrorless cameras, one of the biggest complaints you'll hear about is the shorter battery life compared to DSLRs. While this is a valid argument, don't let it scare you away from mirrorless and know that the future is bright. Cameras like the Sony Alpha a6500, Fujifilm X-T2, and Olympus OM-D E-M10 III do tend to have relatively short battery lives and we would recommend buying a few extra batteries for these systems if you plan on being out all day. But newer systems like the Sony a7R III and Panasonic Lumix G9 boast bigger and newer batteries that are much more effective than their predecessors. While they may not carry quite the same capacity as what one might be used to with a digital SLR, these larger batteries can last through a full day of shooting and will pack more than enough power for most photographers. While we still recommend carrying an extra battery or two as a backup (it never hurts aside from the extra weight), you shouldn't have the same battery anxiety as in the early days of mirrorless. Regardless of what body you're shooting with, there are a few things you can do to help your batteries last a bit longer. First-and it may seem obvious-be sure to turn your camera off when you're not shooting. It's pretty normal to snap a few photos and walk around with the camera still on, and you'll save valuable battery life by remembering to flip the camera off between scenes and shots. Next, put your camera in "airplane mode" unless you are using the Wi-Fi. Most new cameras have Wi-Fi capabilities, which is a great feature, but can be draining on your batteries over the course of a day. Unless you're actively using it, flip it off and save some juice. Last, in cold environments, make sure to keep your batteries warm. This can seem like a bit of an inconvenience, but taking a battery out of your camera and putting it in a warm pocket when not shooting can mean the difference between a battery that lasts all day and one that dies way too quickly. Mirrorless cameras are still relatively new, with most having been released in the last five years. Accordingly, the lens selection is less varied than for Nikon and Canon DSLRs, which have been on the market for decades. Olympus and Panasonic mirrorless cameras have Micro Four Thirds mounts and you can use these cameras and lenses interchangeably. 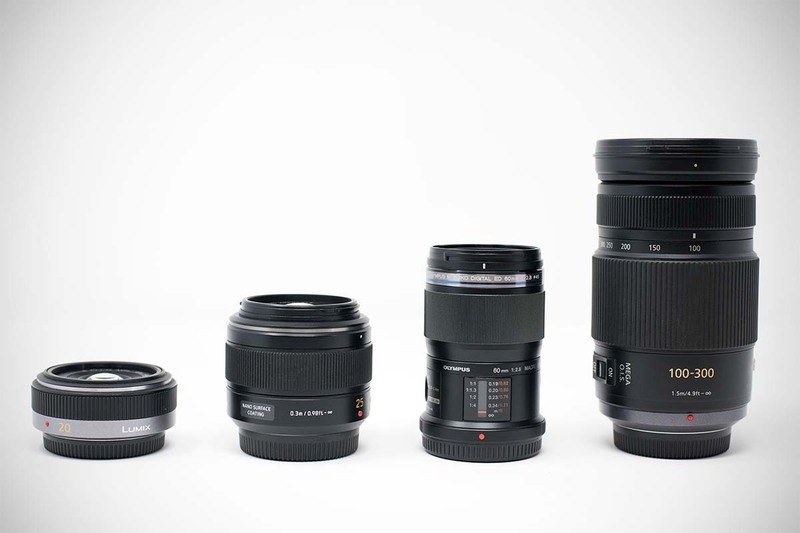 The selection of Micro Four Thirds lenses is massive and ranges from budget to professional. 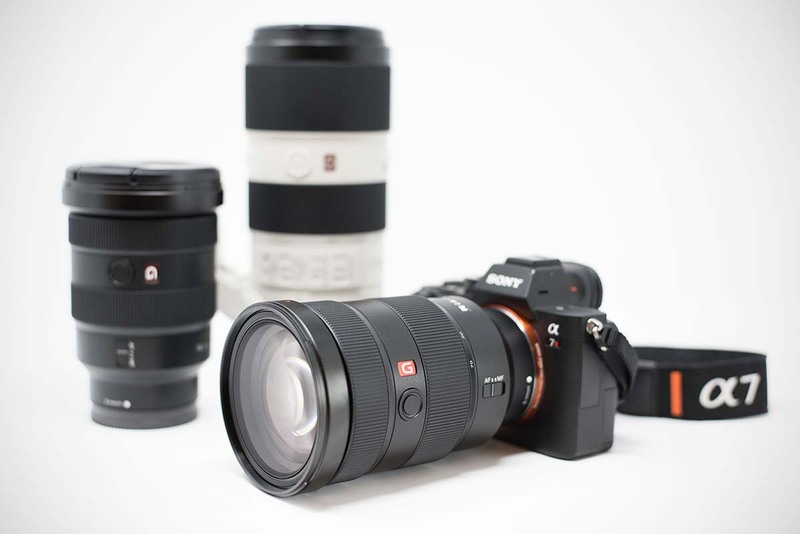 Sony's E-mount lens offerings have grown significantly, and there are plenty of good options for their Alpha series cameras (albeit less than Micro Four Thirds). Fujifilm has fewer XF-mount lenses but there are plenty of quality models, particularly at the high end. Nikon and Canon have much more limited lens collections, but as they continue to grow into mirrorless, we expect to see a large increase in the available options relatively quickly. A big question mark in the mirrorless boom has been: where do Nikon and Canon fit into all of this? As two of the biggest players in the photography world and with so many loyalists who have shot with either brand for decades, it was a bit baffling to see their slow progression and hesitation to hop on the mirrorless train. That all changed in 2018, when Canon released the EOS R and Nikon the Z6 and Z7. 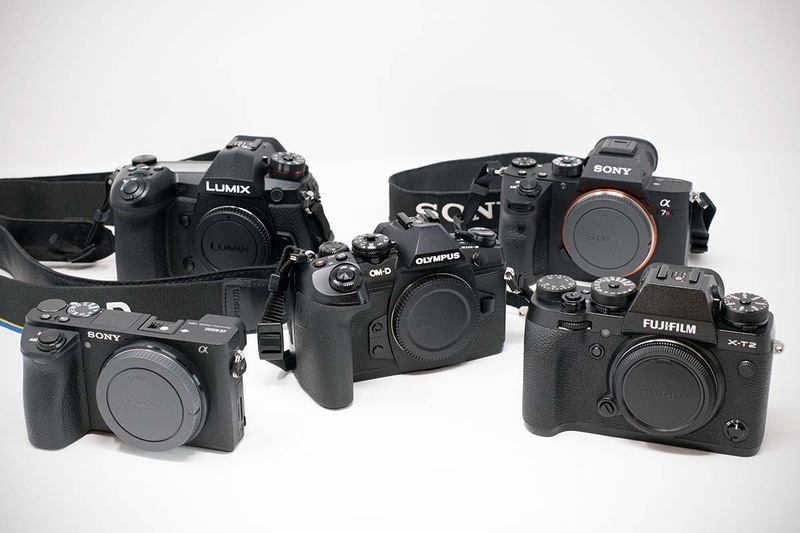 All three models are full-frame powerhouses designed to go head-to-head with Sony and the initial results have been impressive. We still like Sony's lineup best, and particularly due to its multi-year head start on creating native mirrorless lenses, but you can expect this arms race to continue to heat up in 2019 and beyond.